يقع Argyle on the Park قبالة منتزه هاغلي في وسط كرايستشيرش. ويوفر الموتيل غرفًا ذاتية الخدمة مع خدمة الواي فاي المجانية. تحتوي جميع الغرف في Argyle on the Park على تلفزيون مع قنوات الكابل ومشغلات دي في دي وسي دي. كما تتوفر تدفئة ومرافق مطبخ. يوجد عدد من المحلات التجارية والمطاعم على مسافة قريبة من الفندق. وتتوفر خدمات نقل مجانية إلى محطة كرايست تشيرتش للسكك الحديدية لاستقلال قطارات TranzAlpine أو Coastal Pacific. Great location, just a walk to town. Daily laundry service. Full amenities in kitchen. Friendly staff. Quite a pleasant stay, would definitely stay again! Reasonable rate and the staffs are very friendly. A beautiful park just outside the facility yet just a short walk to city center. Friendly staff. Clean, comfortable accommodations. شقة عائلية بغرفة نوم واحدة. We were picked up from the Transalpine train for a free transfer to the Motel, which was much appreciated. The owners kindly also arranged for a taxi to pick us up for a transfer to the airport at 4am. We wished we had more time to enjoy the lovely accommodation, and the park opposite. Clean, close to lovely park and to the centre, easy to arrive at with car and Close enough to shops with car. Only downside is the shower which has a weird system. For us however this was only a small inconvenience as the room was spacious and clean! 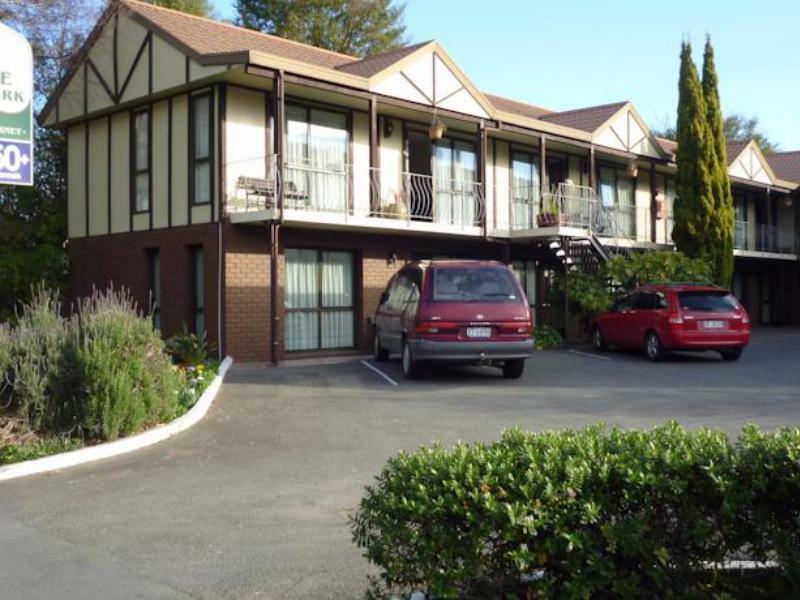 Location of this motel is good which is walking distance to Hagley Park where there is a beautiful rose garden.There is no admission fee to the park or the garden. 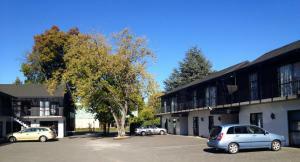 It is also not too far from Christchurch Airport so it is a convenient place to stay. The toilet and bath is a bit small though. Great people. Train station pickup and return. Very good location across from the park and close to the city. The owner was friendly. Showed us to the room. Also sent us to the train station the next morning. Room was adequate and value for money. Our group consisted of 4 adults and one infant (my parents, my husband and I, and our baby) and we stayed for one night before starting our campervan holiday around South Island. I chose this hotel due to its location near the Riccarton Mall as we needed to get some supplies before our journey. This included halal meat, and there is one Middle eastern supermarket nearby which sells that. We chose this particular hotel out of the many along Riccarton Road because we could get one family room to accommodate our large group. The proprietors, Peter and Lena, were very friendly and helpful. Upon arrival, we found a welcome basket full of treats such as cookies, sweets. chocolate, a variety of teas and coffee. We even had two small cartons of milk in the fridge for our tea/coffee. Because of our large group, we requested Lena's help to book a shuttle that can send us to the motorhome depot near the airport so we can pick up our campervan the next day. Unfortunately all the shuttles only go to the airport. However, Peter kindly volunteered to send us off to the motorhome depot using his minivan the next day - free of charge. Even though we insisted on paying him for the transportation, he declined. Wished we could stay longer at the hotel. We highly recommend this hotel for its price, location and hospitality. Nice staff in this place :) also very clean rooms. Hotel was nice, hosts were friendly and provided us with free shuttle to train station. However, Hotel was too expensive and not worth what we paid for.